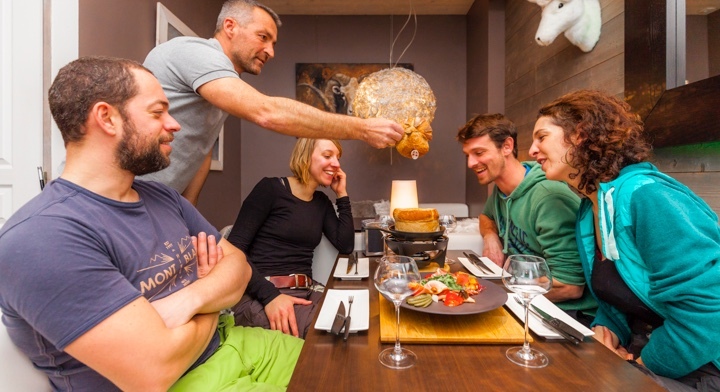 Open to skiers of all levels, the Les Sybelles Resort has a very wide offering for beginner skiers with 37 green slopes and 59 blue slopes covering the entire area from its highest peaks. A genuine playground lending itself to both thrilling experiences and learning. 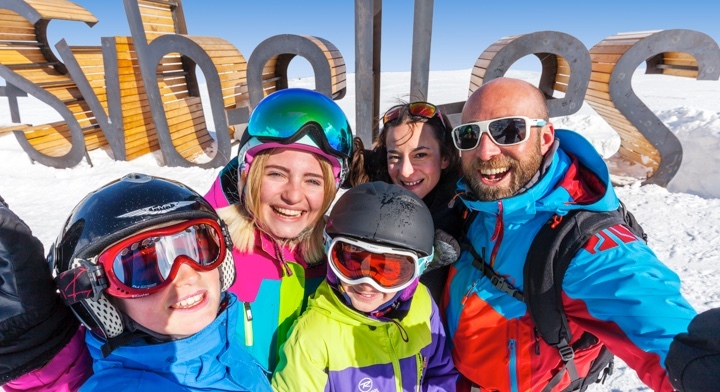 The beginners’ areas are specially designed to allow beginners to learn how to ski with total peace of mind. 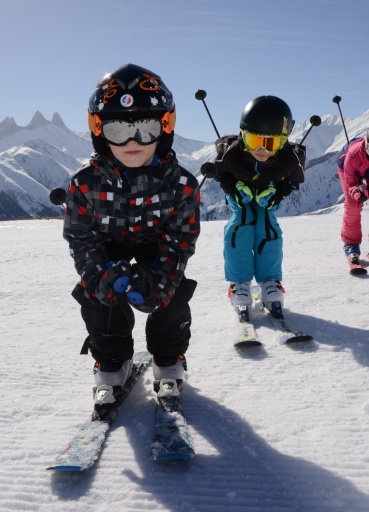 The ski lessons offered by the ESF and ESI in the various local ski resorts such as La Toussuire, Le Corbier and Saint-Sorlin-d'Arves ensure rapid progress is made with the guidance of experienced instructors. 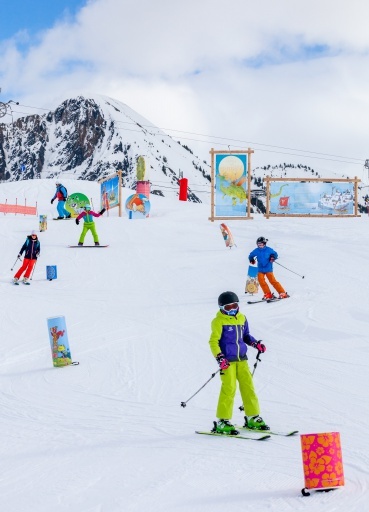 The Les Lutins Gliss area dedicated to learning is comprised of two slopes of gradual levels of difficulty offering the opportunity for skiing to be learnt with total peace of mind. They are served by two covered moving walkways,and the Big and Small Les Lutins mats (no. 1 and 2 on map of the slopes). The Gliss Area is open the whole week and offers full free entry. 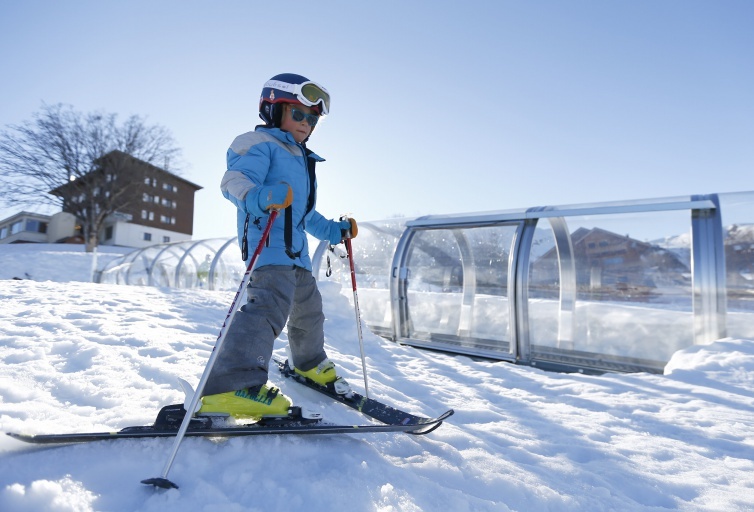 A well-secured toboggan run and Tubing slope (for a fee) complete the offering. 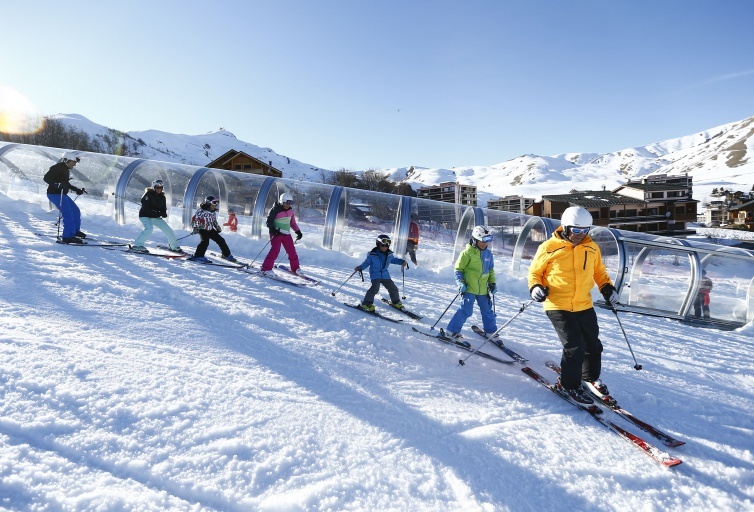 The secure beginners’ area of Les Bottières is comprised of the Les Cabris t-bar lift (no. 18 on the map of the slopes). Free entry. The secure Saint Colomban des Villards beginners’ area is comprised of a beginners mat offering free entry (no. 1 on the map of the slopes), a beginners t-bar lift, the Epinette (no. 2), and a borderkid which can be reached from the Rogemont ski lift (no. 3). The Les Etoiles beginners’ area (no. 6 on the map of the slopes) is marked out and fully secured. 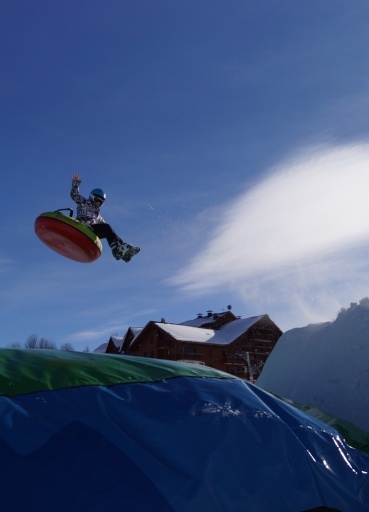 It is comprised of two covered mats, the Big and the Little Bear mats, and the Le Berger t-bar lift.It is located just behind the Le Corbier Tourist Office. The Saint Sorlin d’Arves beginners’ area is marked out and fully secured. It is comprised of the Mollard and Les Choseaux mats (no. 5 and 22 on the map of the slopes) and entry is free. The Saint Jean d’Arves beginners’ area is marked out and positioned away from skiier traffic. It is located at the bottom of the slopes and comprised of the baby lifts of Le Chal, Praz de Charvin and Rodesses (no. 22, 23 and 24 on the map of the slopes). A ski pass is needed to access it.